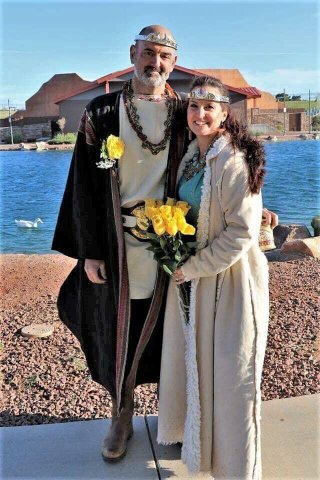 The Kingdom of Caid is the sixth kingdom in the Society for Creative Anachronism. Its modern boundaries include Southern California, Southern Nevada and Hawaii. This page is oriented toward people in the Society. Get your event date officially scheduled on the Kingdom Calendar. Please consult the instructions here for an overview of the process. Notices for events not on the Calendar will not be printed. 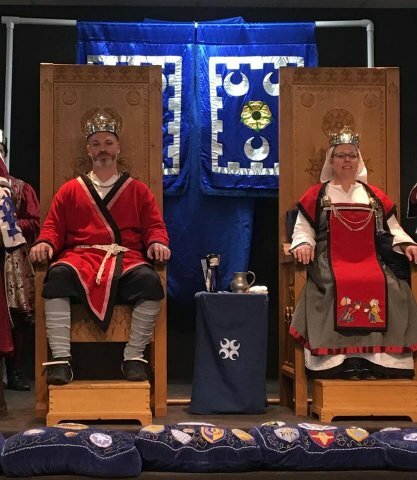 This is the recognized web site for the Kingdom of Caid of the Society for Creative Anachronism, Inc. and is maintained by Dame Iseabail inghean Bhaltair and the rest of the Caid web team. This site may contain electronic versions of the group's governing documents. Any discrepancies between the electronic version of any information on this site and the printed version that is available from the originating office will be decided in favor of the printed version. For information on using photographs, articles, or artwork from this web site, please e-mail the webwright, who will assist you in contacting the original creator of the piece. Please respect the legal rights of our contributors. Copyright © 2018 Kingdom of Caid. The original contributors retain the copyright of certain portions of this site.